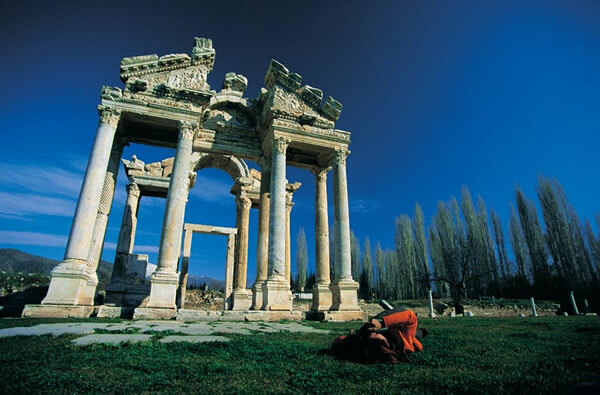 Aphrodisias in Aydin province is an ancient city of great beauty, as befits the name of Aphrodite. 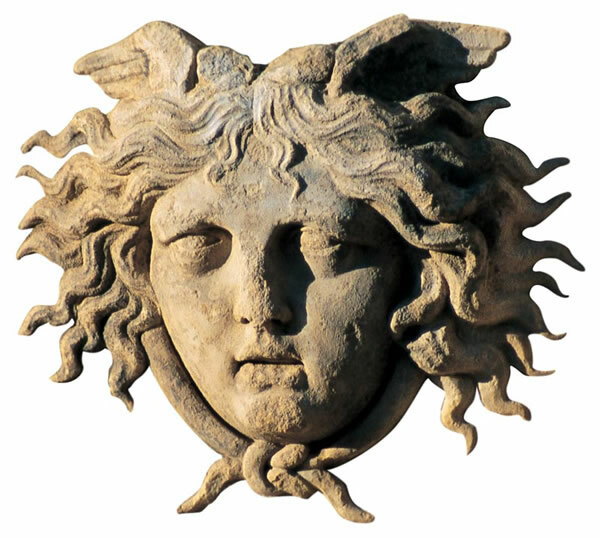 Aphrodite, the goddess of love, is one of the most colorful characters in Greek mythology. Born of pure white sea foam, she stepped onto land in Cyprus, displaying her beauty for all to behold. This scene, one of the most favorite and frequently depicted in all art history, has been embodied in sculpture, painting and mosaic. Whatever myth you read, you're sure to come across Aphrodite at some point because, as the saying goes, she turns up under every stone. Was it not she, for example, who won the coveted prize in the three-way beauty contest on Mount Olympus, home of the gods, indirectly triggering the Trojan War? And what about the many fascinating couples she brought together in cahoots with Eros, god of love, by softening even the hardest of hearts? Countless temples and altars were erected to this much beloved 'working' goddess in her time. But all are overshadowed by the city founded in her name. 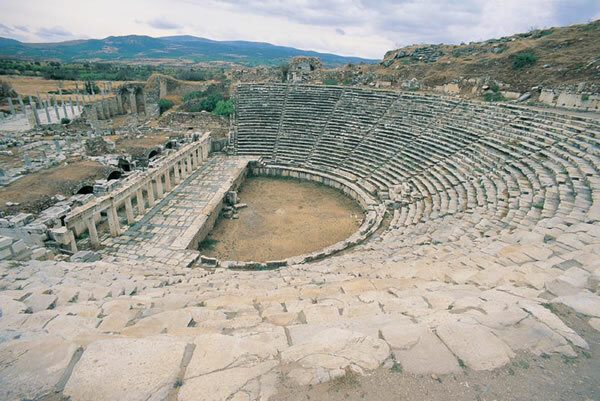 Aphrodisias is situated on a plateau 600 meters above sea level in the foothills of a mountain known as Babadağ. The ancient sources contain little information about the city's history. There is no doubt that it was a large, populous and very advanced city, as evidenced by its ten thousand-seat theater, thirty thousand-seat stadium, bath consisting of five large spaces, agora, and rich array of public buildings, all of which offer the visitor important clues to the city's standard of life and culture. But the most important structure of all is the temple dedicated to the goddess for whom the city is named. A large number of ceramic fragments left as offerings were found in the foundations of a structure erected over a smaller temple which has been identified as a sacred precinct even in older historical settlements in the region. Construction of the modern temple to the north of the city center was begun in the 1st century B.C. and completed only after a long period of 150 years. Zoilos, whose name appears on two inscriptions in the temple, was a wealthy freed slave. The first inscription is on one of the border stones of the sacred precinct in which the temple is situated. "[This area] was designated as a sacred asylum by the great Caesar and [his son] the Emperor [Caesar], the Senate and the Roman people... C. Julius Zoilos, priest of Aphrodite erected the border stones." The word 'asylum' that appears in the inscription refers to the right to take refuge here, and any person who entered an area or building so designated was taken under protection unconditionally, regardless of who he was. Another inscription inside the temple reads: "C. Julius Zoilos, priest of Aphrodite, savior of the fatherland and donor, [dedicated] this temple of Aphrodite." 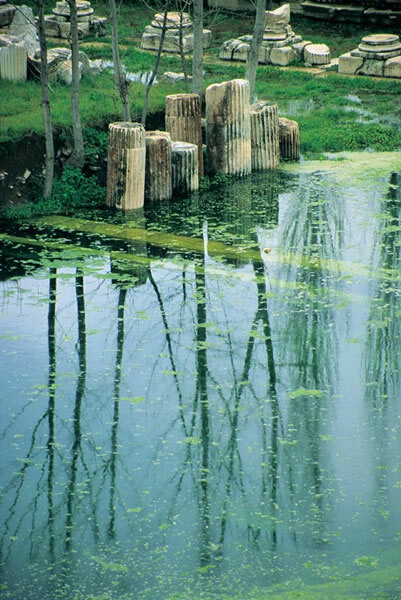 Whether he donated the border stones alone or much more is immaterial; there is no doubt that Zoilos invested a great deal of effort in the Temple of Aphrodite. Nonetheless, as if to spite all the pains taken for its construction, this magnificent temple was converted into a Christian basilica only 500 years later in the 6th century A.D. with the addition of many extraneous structural elements. 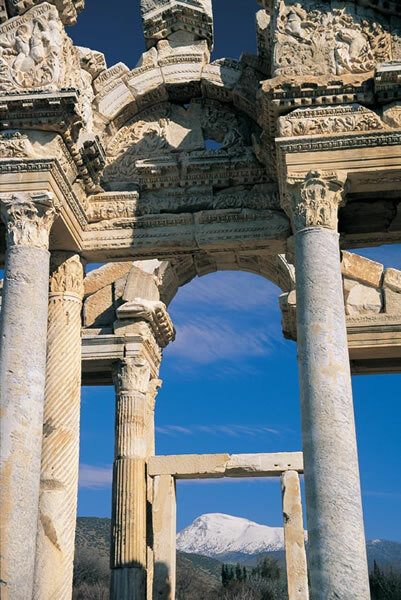 Aphrodisias was one of the leading centers of art and culture of Anatolia and of the entire Mediterranean region from the 1st century B.C. to the 6th century A.D. A large number of its citizens, among them the medical researcher Xenocrates, the poet Chariton and the thinker Alexander, engaged in scholarship in various fields such as architecture, sculpture, medicine, mathematics and astronomy, and produced important works. But the city's real fame derived from the school of sculpture that was founded here. Working the marble extracted from the quarries on Babadağ, the masters of this most prominent school of sculpture in the ancient Greek and Roman world created masterpieces here that they shared with the entire world. 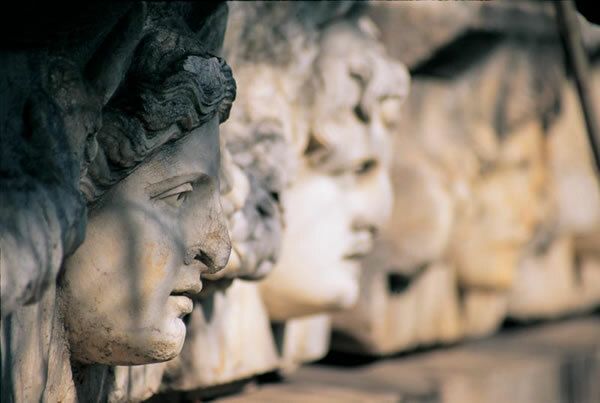 The statues and reliefs discovered in excavations in Rome and its environs bearing the signatures of artists from Aphrodisias are proof of just how famous this school was in antiquity. 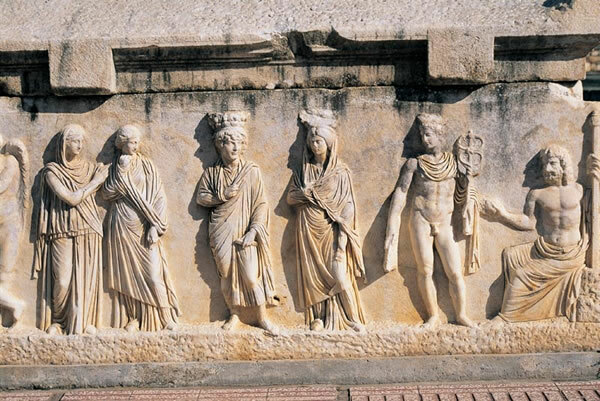 Most of the magnificent statues found in almost all the public buildings in the city are on exhibit today in the Aphrodisias Museum inside the ancient city. And further specimens can be seen at the Istanbul Archaeological Museum. 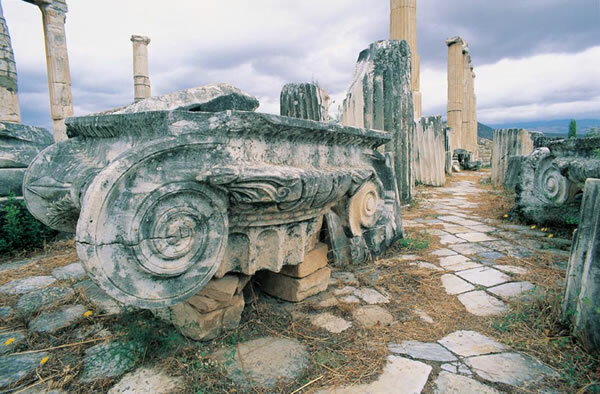 Aphrodisias has been a stop for historians and travelers since the early 1900's. Amateurs have carried out much research and excavation in the city. 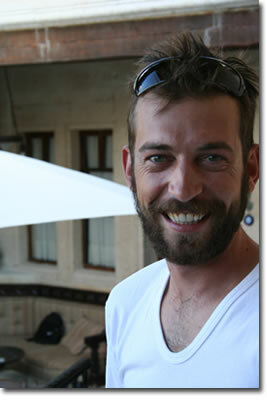 But if we ask who it is who rescued Aphrodisias for our time, the answer is clearly Kenan Erim. Erim, who began excavating here for New York University in 1960, was bound by true love to this city of the love goddess. But Erim was not content merely to love the city. To guarantee the future of the excavations here, he founded the Lovers of Aphrodisias Society, which has members in Turkey, the U.S. and France, thereby ensuring the requisite funds and scientific equipment for financing the work up to the present-day and beyond. When Kenan Erim, who devoted thirty years of his life to Aphrodisias and would readily have given thirty more had he had them to give, died in 1990, he was immortalized by being buried next to the Tetrapylon at the entrance to the sacred precinct in which stands the Temple of Aphrodite, one of the most splendid structures of this city he loved so much. Since his death, Roland Smith has been directing the Aphrodisias excavations. 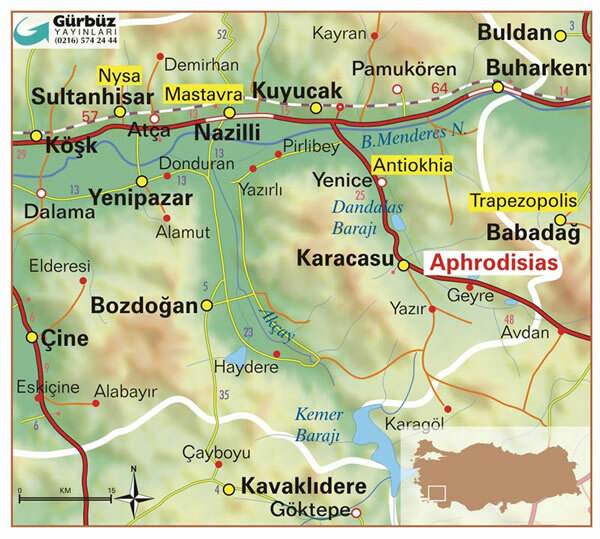 A very large city, Aphrodisias is also a very rich city. But this wealth is not apparent merely in the magnificence of its buildings. 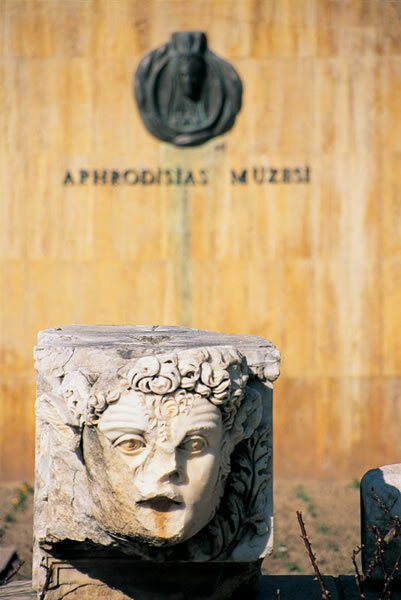 It is rather the statues and mosaics that reflect a refined taste in art, and the scholars and writers who were born and raised here, that tell us that Aphrodisias is far richer than meets the eye. And is not the fact that culture and education are what, sooner or later, bring wealth and plenty in their wake precisely what we so desperately need to know?